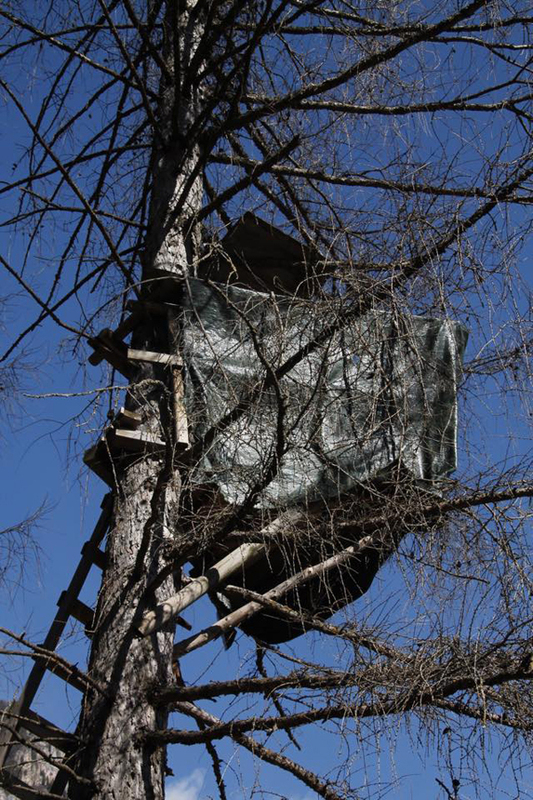 A small and nice treehouse in Ziano di Fiemme, Val di Fiemme (Italy). 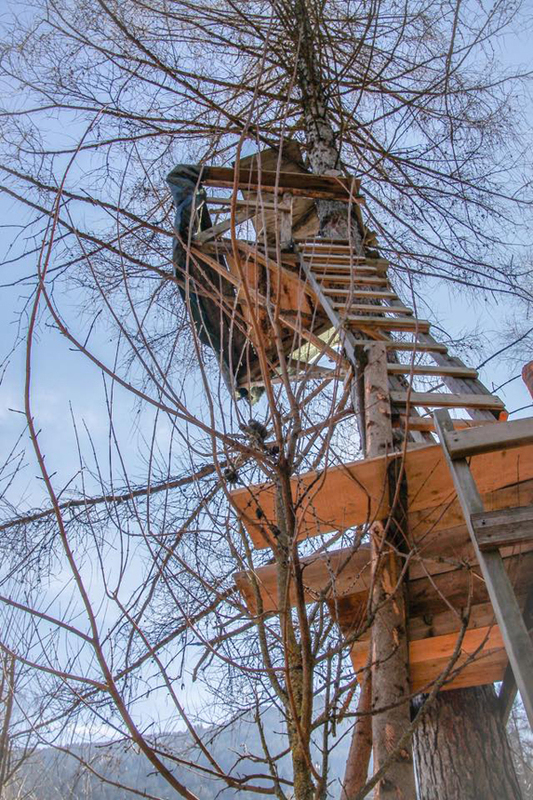 Simone sent me these pictures of this small treehouse, with two platforms, one in the middle just to take a break and to look at the landscape and the other above for the treehouse. 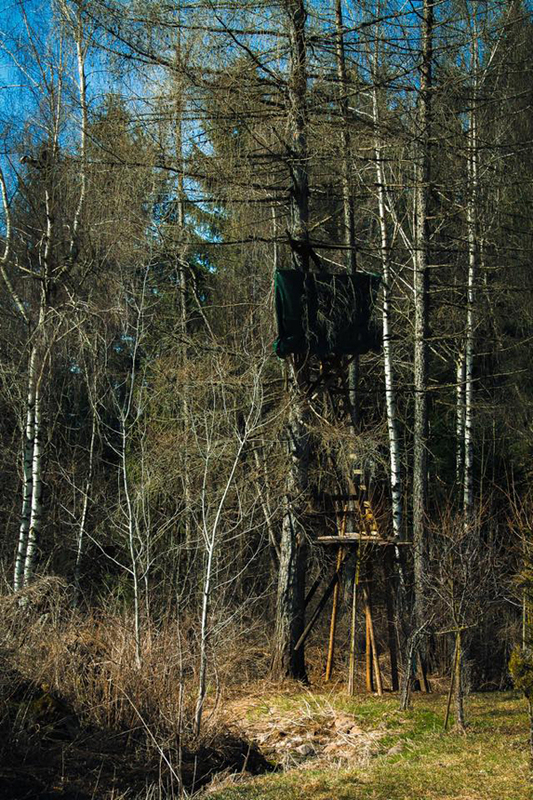 This high treehouse has a simple structure with a triangle shape with no other support apart from the trunk. Pic by Simone Zorzi. All rights reserved.